Huawei Acend G510 user guide manual – Huawei Ascend G510 was released on April 2013 with big and bright screen performance in its class. Huawei Ascend G510 will make you enjoy to watch youtube with the screen display and colorful app equipment. Huawei Ascend G510 come with plain plastic design, run Android 4.1 Jelly Bean operating system and carry 5 megapixel main camera featuring with autofocus and LED flash to support its performance. 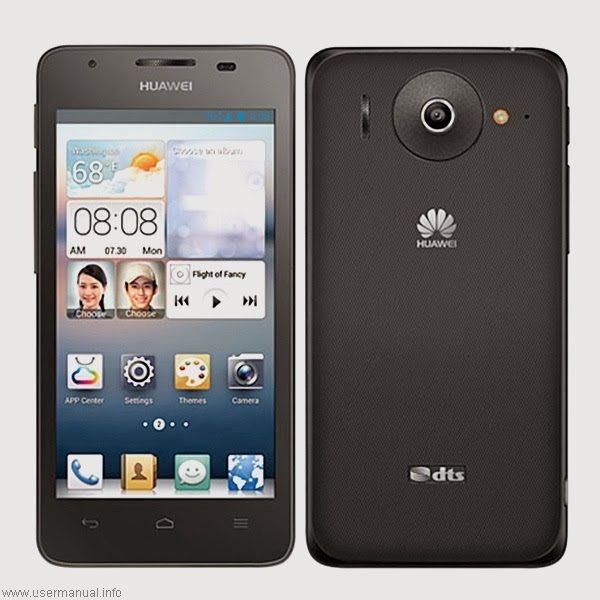 Huawei Ascend G510 equipped with specifications and key features such as: 134 x 67 x 9.9 mm (5.28 x 2.64 x 0.39 inches) in dimension with 150 g (5.29 0z) for weight, 4.5 inches IPS LCD capacitive touchscreen display 16 million colors 480 x 854 pixels screen display along with multitouch support, microSD up to 32 GB, 4 GB internal storage, 512 MB of RAM, 5 megapixel rear facing camera with autofocus and LED flash, 0.3 megapixel front facing camera, run Android 4.1 Jelly Bean operating system, powered by 1.2 GHz dual core Qualcomm MSM8225 Snapdragon processor Adreno 203, Li-Ion 1700 mAH battery with up to 340 hours of stand-by time and up to 5 hour 50 minutes of talk time. Huawei Ascend G510 user guide manual available to download in pdf file format with21.29 MB size and contains of 94 pages. The manual pdf of Huawei Ascend G510 on Google Services chapter explain about Google preload apps for your smartphone such as: Gmail, Google Talk, Google Maps, Youtube and Google Play Store.